KIEV, UKRAINE - June 8: Facebook Web Page Closeup With Notifications Of New Friends Request And Messages, And Blank Status Line, In Kiev, Ukraine, On June 8, 2014. Banco De Imagens Royalty Free, Ilustrações, Imagens E Banco De Imagens.. Image 29629642. 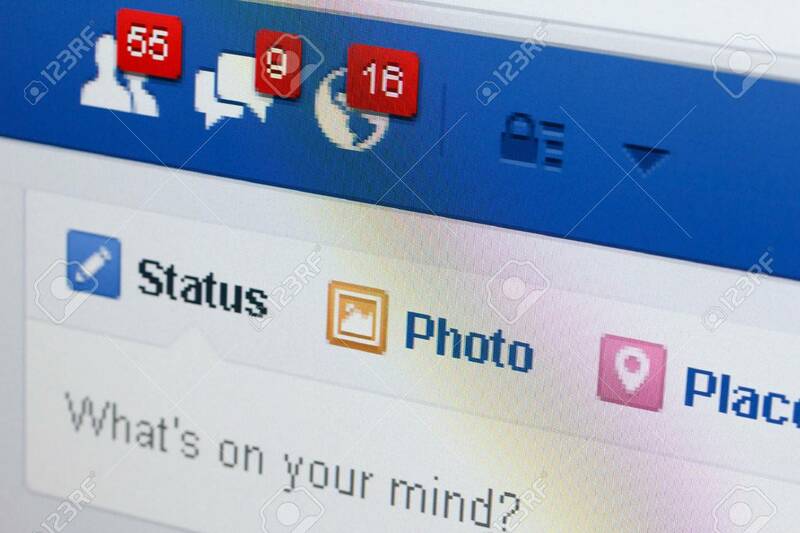 Imagens - KIEV, UKRAINE - June 8: Facebook web page closeup with notifications of new friends request and messages, and blank status line, in Kiev, Ukraine, on June 8, 2014. KIEV, UKRAINE - June 8: Facebook web page closeup with notifications of new friends request and messages, and blank status line, in Kiev, Ukraine, on June 8, 2014.